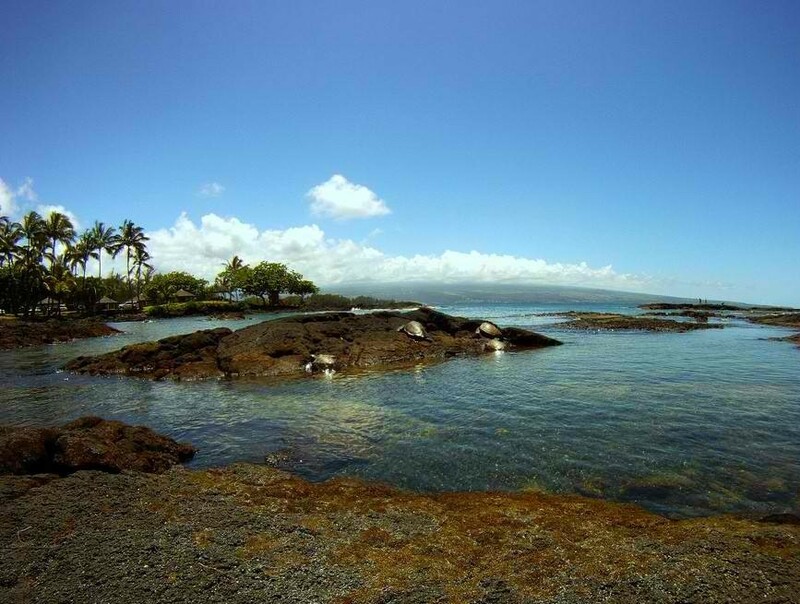 Richardson Beach park, also known as Richardson's Ocean Park, is a Hawaii County park located on eastern of Hilo on the Big Island of Hawaii. 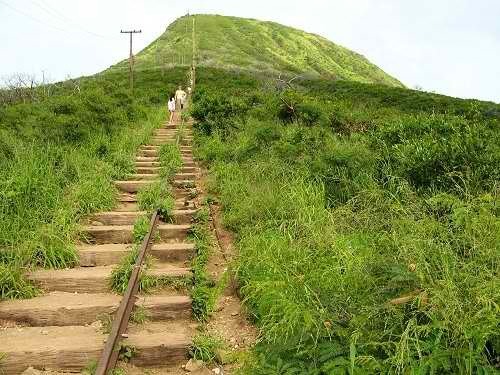 It is adjacent to the Leleiwi Beach Park. 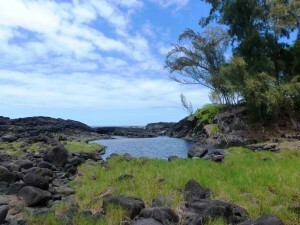 The beach was named after Elsa and George Richardson who were the previous owners of the beachfront property. The Richardsons built a home in the area which still stands today and serves as the headquarters of the Richardson Ocean Center. Today, the area is a popular a public beach park and known as the only beach in Hilo with black sand. It boasts of magnificent views, calm deep blue waters and spectacular marine life making it one of the best snorkeling sites on Hilo side of the Big Island. Apart from colorful fishes, the marine wildlife here include the honu or green sea turtles. 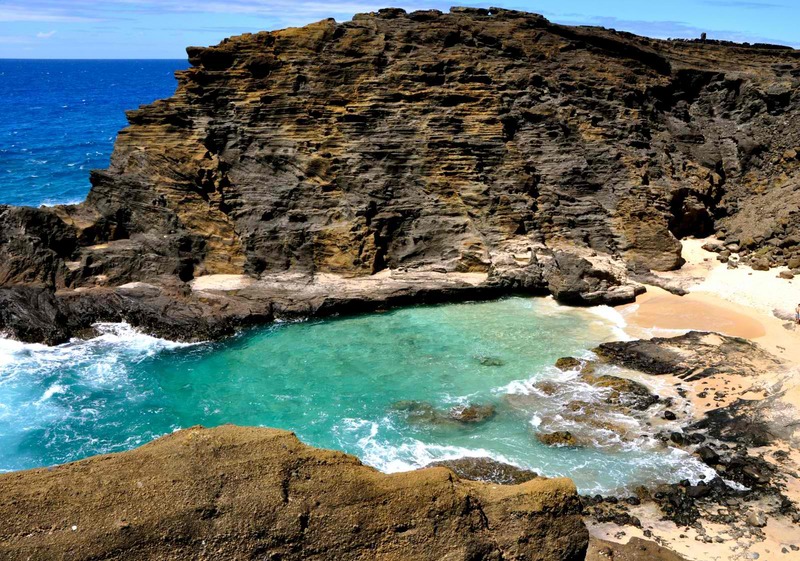 The beach is protected by a natural breakwater made from lava rocks which keeps the water calm and ideal for snorkeling and a safe swimming spot for children. 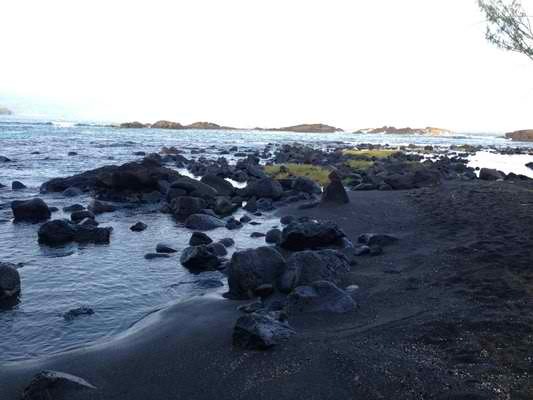 There are also numerous natural tidal pools made from lava rocks worth exploring. Beach park facilities include bathrooms, showers, and lifeguards on duty. There are plenty of trees providing shade and grassy spots which make perfect venues for family picnics. The beach can get crowded during weekends. 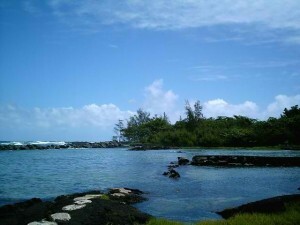 The Richardson Beach Park is located at the end of Kalanianaole Avenue in Keaukaha, Hilo.